Messier 92 (also known as NGC 6341) is a globular cluster of stars in the northern constellation of Hercules. It was discovered by Johann Bode in 1777. The cluster was independently rediscovered by Charles Messier on March 18, 1781 and added as the 92nd entry in his catalogue. M92 is at a distance of about 26,700 light-years away from Earth. 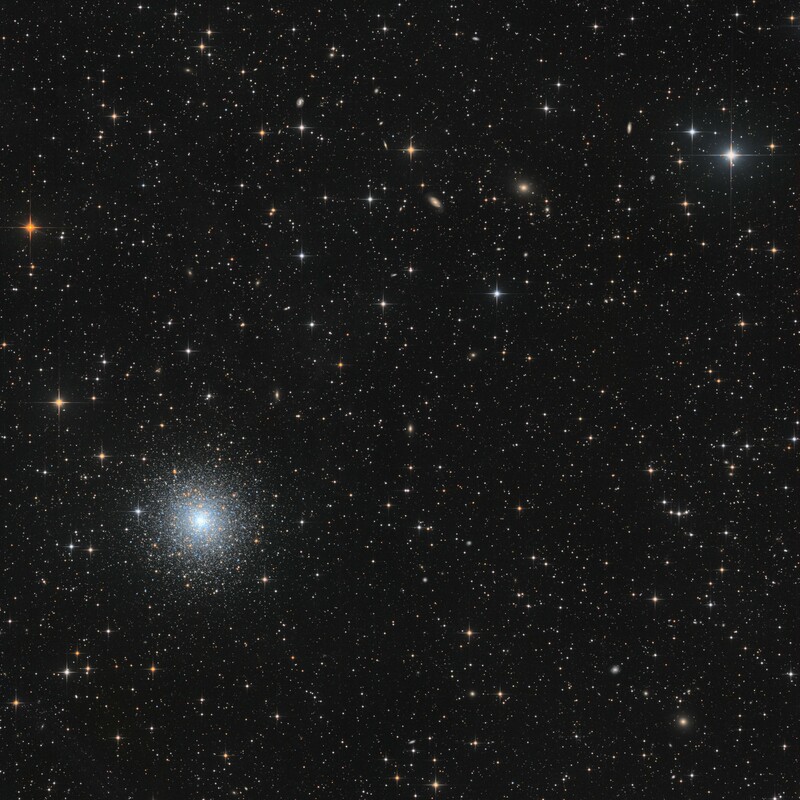 M92 is one of the brighter globular clusters in the northern hemisphere, but it is often overlooked because of its proximity to the even more spectacular Messier 13. 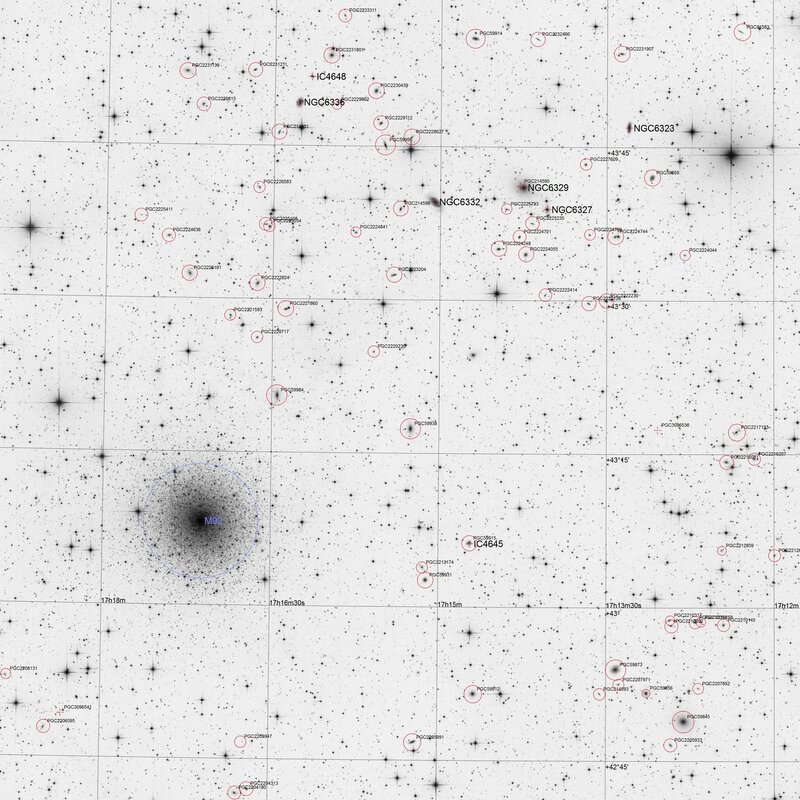 M92 has a much denser core and is more difficult to resolve than M13. Knap gedaan Bart en heel mooie compositie. De sterrenwacht van Karel is in goede handen !